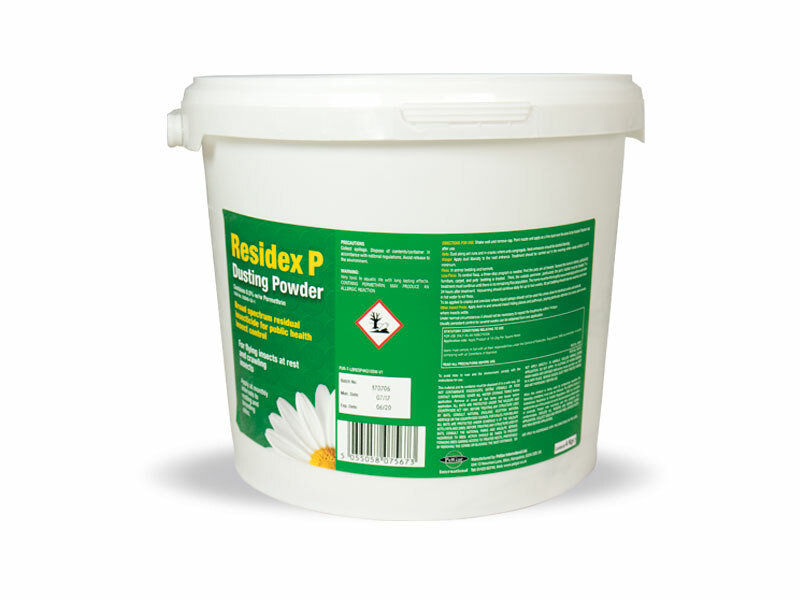 Residex P Insect Killing Powder is a surface residual dusting powder containing 0.5% Permethrin and is suitable for the control of crawling insects at rest indoors and out. 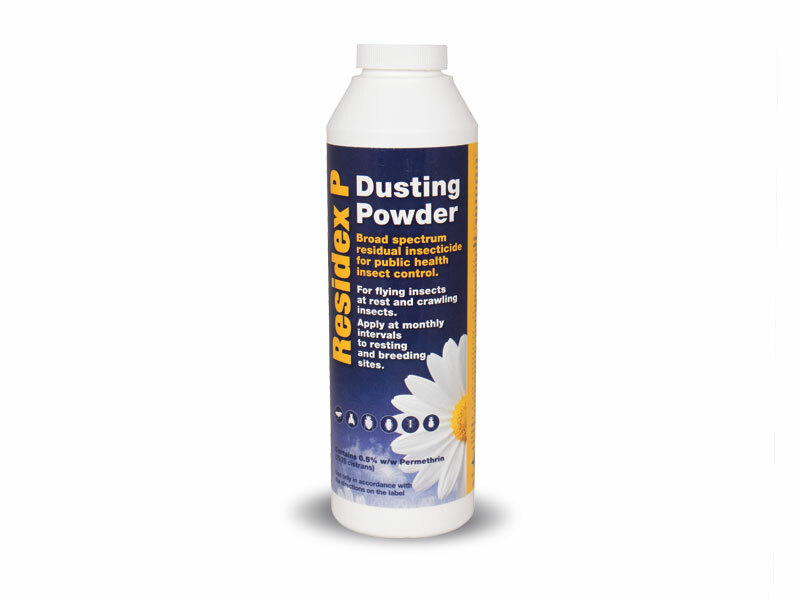 It should only be used in dry conditions and is ideal for dusting into cracks and crevices to control ants, cockroaches, beetles, bed bugs and any other crawling insects. Can also be used in wasps nests.